Preparing Your Will: What Is To Be Expected | Erwin, Fountain, & Jackson P.A. M-F 8:00 a.m - 5:00 p.m. Many of the tragic and unexpected natural disasters around the world over the last few years have caused many people to ponder their own mortality and we and our clients are no exception. While the preparation of a will is a job for your attorney, we still receive many inquiries regarding wills since there are many financial issues involved in passing your assets on to your descendants. Since sudden tragedy is on everyone’s mind at present, we thought it would be an excellent time to remind our clients of the importance of having a will and the items you will need to consider in obtaining one. Complete names, addresses and social security numbers of all relatives and heirs named in your will. A copy of a previous will if you have one. Financial statement listing all of your assets and liabilities. Life insurance policies with beneficiary information. Retirement (401k, IRA, pension) plan information with beneficiary information. This is by no means a full listing and you should consult with your attorney’s office over the phone to inquire about any other items he or she may want to review when you meet. In addition to the above items, you will also need to have an executor or trustee selected and a fairly good idea of who you want to receive your assets. You also need to inform your attorney of any potential inheritances you may receive before your death so that they can be included in your own will. If you have minor children, a guardian should be named to care for them. 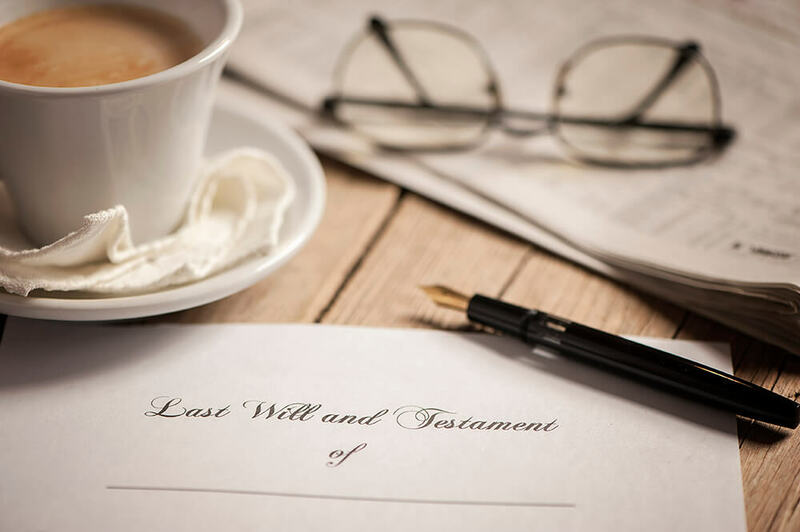 Anther item that is now common in most wills is the stipulation of who is to make decisions for you if you become incapacitated. For those of you who have never been through the “will-writing” process, you can expect your attorney to carefully review the documents you bring with you and ask you personal questions regarding both your beneficiaries and your executor or trustee. In order for the attorney to advise you in a competent manner, he or she must fully understand the various issues involved with the individuals named in your will. If there are potential conflicts that may arise during the administration of your will, you should inform your attorney before the will is drafted so that possible conflict resolutions can be addressed and the potential range of powers that you grant to your representative can be considered with full knowledge of the facts. After the human issues are resolved, your attorney will likely move on to the physical assets themselves and how best to pass them on to your heirs. Be prepared to discuss issues regarding any business entities you may be involved in and how best to ensure their continued value upon your passing. It is generally wise to list most of your personal assets in a separate letter instead of listing them in the will itself. Your personal assets can and will likely change before your death which will necessitate the changing of your will if they are detailed there. A personal letter is generally not binding on your executor and can be a potential point of conflict among your heirs, but if you choose your executor wisely, he or she will most likely follow your wishes. For personal items or family heirlooms that you are confident you will always have, it is often wiser to list them in the will itself to avoid any questions or uncertainties at your death. You and your spouse can have separate wills and that is becoming more common with second marriages. However, if you choose go that route, you may still want to use the same attorney so that the wills can be coordinated and you avoid any potential misunderstandings as to property ownership and beneficiaries. Once your will has been drafted, you will need to review it from time to time to make certain that it still reflects your wishes and intentions. You should keep a copy with your important papers and have your attorney maintain a copy in a secured, fire-proof vault. Many people maintain a copy in their safe deposit box at the bank, but bear in mind that the safe deposit box may be sealed at the time of your death under various state laws. Finally, if you move to a different state, you should consult with a qualified attorney in your new location about your will. While the document may not have to be re-drafted, there are varying laws among the different states that may impact some provisions in your document. A quick review by a local attorney should quickly ease your mind in an all-too-often uneasy world. Experienced professionals operating as strategic business partners to our clients by delivering valuable, industry leading services.